Despite many positive steps in recent years, China remains the single greatest greenhouse gas emitter worldwide. This is a sad reality and one which demands urgent attention given the human, environmental and economic costs of inaction. There is an unequivocal economic cost to such high greenhouse gas emissions. In 2013, natural disasters such as droughts, floods and earthquakes cost China 421 billion yuan ($69 billion), the latest data from the National Statistics Bureau highlights. Similarly, the environmental impact of global warming is exceedingly clear. Acute smog in Beijing is causing photosynthesis in plants to stall and poses a considerable risk to agricultural life, research from the China Agricultural University’s College of Water Resources and Civil Engineering, found. If sunlight isn’t able to reach Chinese soil, we cannot expect our crops to prosper. But, most importantly, this level of pollution has a significant detrimental impact on people’s quality of life and predicted life expectancy. A study, published by the Proceedings of the National Academy of Sciences of the USA, detailed how air pollution causes northern China’s residents to live an average of 5.5 years shorter than those who are based in Southern China. In the north-eastern city of Harbin last October, the index measurement of PM2.5 (or particulate matter) hit a shocking 1,000 – bear in mind a level of 300 is recognized as extremely dangerous to human beings. Despite this clear evidence of the devastating impact of global warming, we have been slow to quantify and manage the risk associated with climate change. However, the tide is slowly turning. A recent study by Swiss Re – a key partner of The Climate Group - tackled climate change head on. The insurance giant ranked the risks facing more than 600 urban areas globally, and found that China's cities are among the most exposed to natural disasters in the whole world. In fact, the research highlighted that floods and typhoons in the Pearl River Delta, a densely populated area of 42 million people, pose a threat to more people than in any other metropolitan area globally. And as one of China's main economic centers, with an estimated GDP of around USD 700 billion, the Pearl River Delta could incur massive financial losses from disasters such as typhoons, storm surge and earthquake, the report revealed. Common sense dictates that the failure to act on climate presents a real threat to both the planet and humanity, and as such it is something which we should insure ourselves against. I welcome Swiss Re’s confrontation of this bleak reality. The company is now re-framing the dialogue around climate insurance; I hope others will be mobilized to recognize the risk also. While Swiss Re’s pioneering stance is a step forward, it is vital to remember that the power to minimize this risk is in our hands. Just as human activity has negatively impacted global warming, so too can our actions contribute to a more sustainable future. Indeed, every positive step towards clean energy reduces the risk associated with climate change, offering us greater control over our planet’s path. To effectively reduce the risk associated with climate change it is imperative that all factions within society work together. The correct approach involves a three point plan: elite leadership, citizen engagement and corporate sustainability. On taking office just under one year ago, Li Keqiang China’s Premier committed to tacking the country’s pollution problems and used his first official press conference to launch his renewable energy drive. It was at that event that he stated: “We shouldn't pursue economic growth at the expense of the environment. Such growth won't satisfy the people.” Since then Kegiang has prioritized the Chinese Eco- Civilization strategy and overseen the introduction of five new emissions trading schemes during 2013. It is also notable that the government has raised the official wind energy target for 2020 to 200 gigawatts. Citizen engagement can be seen through the establishment of the Climate Academy which is certain to catalyze the Clean Revolution in Asia. With the Environmental Education and Publicity Center of the Ministry of Environmental Protection as a strategic partner, and the China Youth Climate Action Network an advisor on project implementation, the initiative is sure to have a profound effect. Corporate sustainability represents an immense opportunity for positive climate action. In 2013, China installed more solar panels than any country has before. With the right government incentives business leaders can drive their organizations forward in a cost effective and ethical way. Their involvement is crucial to the realization of the low carbon market. A committed coalition of the state, civil society and business will be central to the effective management of climate change risk. Swiss Re and guests will be discussing how we can create such a coalition at their upcoming 150 anniversary event in Beijing on March 21. How would you go about it? Please share your thoughts as comments below. Tags: #Swiss Re 150, #climate change, #climate risks, #renewable energy, #Swiss Re 150 Asia. Adeline Chua - 10 Mar 2014, 10:04 a.m. I couldn't agree more. We need a combination of solutions to overcome this risk. The three points are not mutually exclusive. Every individual effort counts. I live close by the office that makes walking every day to work possible – one car less on the road but then I am exposing myself on the street with the polluted air much more than those who travel in the car. This is a vicious cycle unless environmental education to citizens is put in place and everyone is putting in the effort to cut emissions. At the same time other pieces of the solution need to kick in. Corporates need to recognise the exposure and put in efforts to prevent pollution. Passing legislation and making insurance a mandatory financial security are not enough. Government's KPIs needs to include quality of life, not just quantity. This is on its way, so I hope to see the impact soon. We have been working with clients on environmental challenges from an insurance perspective. More often than not, I'm asked to provide innovative insurance products for the Chinese market to help solve the problem. There are plenty of insurance products which can be brought into China's market, however, they can only be successful with some market pre-requisites already in place. For example, a well set up risk management system, which includes comprehensive industry-specific rating systems and standards. 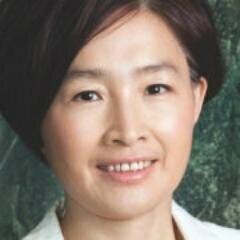 Also enterprises need to have a high environmental awareness. Finally, we must strive for more information transparency on the public and private level. 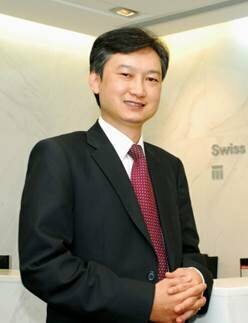 I look forward to discussing further at Beijing 150 (http://150.swissre.com/events/150/beijing_en.html)! Kevin Forrest - 10 Mar 2014, 6:29 p.m.
Finding alternative energies with little or no compromise is the key. This has been difficult because either regulation or cost inhibit economic implementation. The other road blocks are stalwarts within whatever organization is trying to change. There is always a nay sayer preaching why it can't be done. This stems either from unwillinness to learn new things or attempting to protect their knowledge power. We need to identify the people who say, it might be tough, but we will get it done. Bernd Wilke - 14 Mar 2014, 3:09 p.m.
Is China on the right track - most likely no. And it not only has to do with politics. After all it depends how life is developing in China. The last time I was in Beijing the roads were extended parking lots creeping along on a snails pace. Still, over 1000 additional cars per day were put on the road because the Chinese population finally wants to own a car. The same is true for many other consumer goods - by the way we all take them for granted here. And all this stuff needs power and resources - to build, use and discard them. As long as the common Chinese dream is that way it will be difficult to get China on a different path. And since the developed world is not really a great role model, how can we expect Chinese people to live with less comfort than we do? Clarence Wong - 19 Mar 2014, 7:19 a.m.
China aims to build a prosperous societies and owning a car is symbolic of being in a higher level of development. That probably underpin the reluctance of government to forcefully curb the growth of car. How can you promise the people a prosperous level but deny them the very symbol of achieving prosperity. Adeline said correctly -- educating the public to raise individual awareness (you wellbeing is not defined by car ownership) is important but will take time. Alicia Montoya - 20 Mar 2014, 10:42 a.m.
Agree that China has a long way to go and, like many other countries, argue that they want the same as other countries in the West. But let's not forget that China is also investing massively into clean tech and has in fact comfortably surpassed the US and Europe in that! "More than a third of the 2012 clean tech investment ($60 billion) is in China, with the U.S. and Europe behind with about $27 billion and $29 billion, respectively." I could go on and on, talking about China's efforts in zero emissions cities, clean public transport and more. So while I now it's got along way to go, I agree with Changhua, tons is already being done.